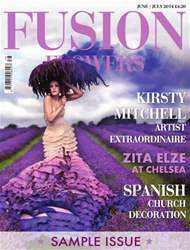 Issue 79 of Fusion Flowers is packed with floral design stories from around the world! From China we report on how a group of European designers took on what appeared to be an impossible task but did they survive and did they complete the task?! From The Netherlands we report on the amazing story of a young Master Florist, Dennis Kneepkens, who took fresh flowers and design to of all places Iraq! This very poignant story reveals just how tough the job was - particularly on a personal level. From the UK we bring our first report from the RHS Chelsea Flower Show - see the glorious floral gowns created in the floristry section . 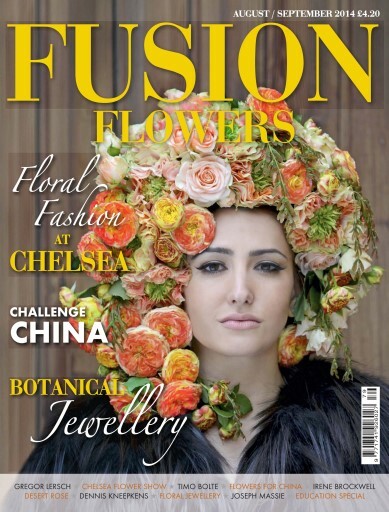 Timo Bolte who is based in Austria, created the stunning fresh rose design on our front cover and in this issue you can see more of his stunning designs - principally using roses. returns to show how garden flowers can be fashioned into beautiful bouquets that would delight anyone. We welcome back several old friends in the step-by-step design section including world-famous Gregor Lersch who shares five of his stunning late summer designs all featuring specialist paper. We also welcome back Life3 - Per Benjamin, Max van de Sluis and Tomas De Bruyne and several of their new ideas fresh from their demonstration in Denmark. 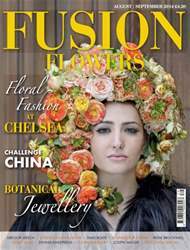 Joseph Massie interviews a charming American designer who has taken the specialised art of botanical jewellery to a new level in her highly successful enterprise.